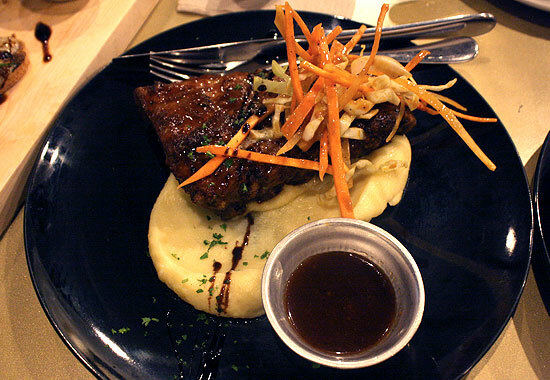 (SPOT.ph) Comfort food is one of those things that can’t exactly be defined. What is comforting for one diner is different for another. 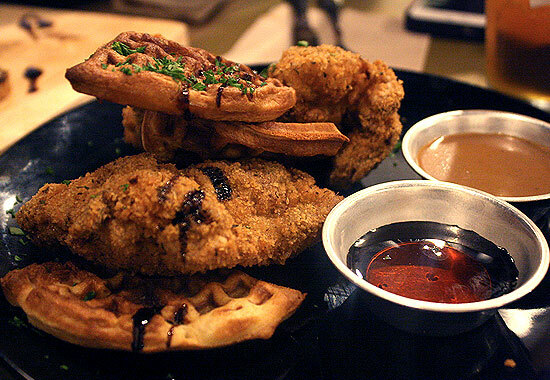 Enter Paprika Comfort Food + Cocktail Bar, which serves hearty meals that hope to appeal to a variety of palates. 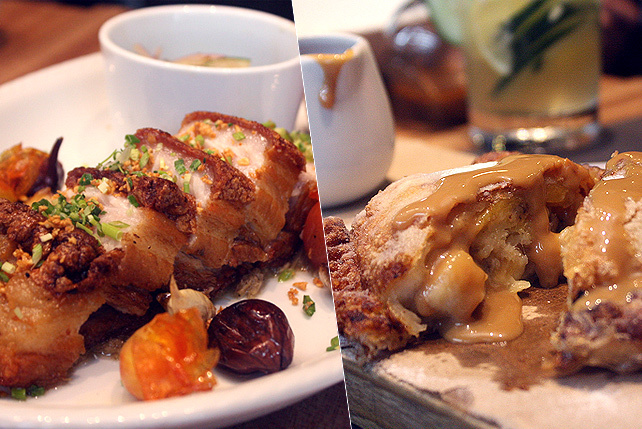 The cozy restaurant is tucked in the bustling RCBC Tower at Bonifacio Global City. 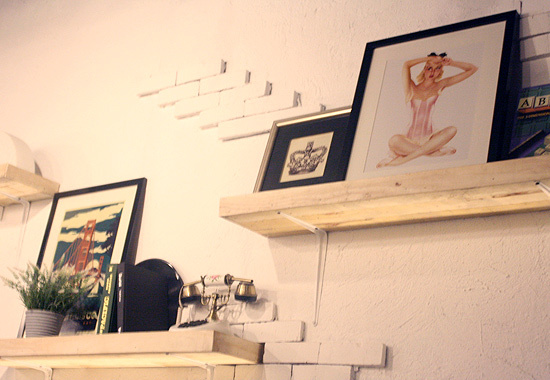 It’s a casual and intimate nook that exudes a rustic charm, with pops of color from plush pillows to framed artwork. The goal is clear and simple: a much-needed break from a long day. It’s a goal echoed by Paprika’s managing partner, Panjee Lim. "I wanted a place that people can come to after work...something they want to come back to over and over again," she says. 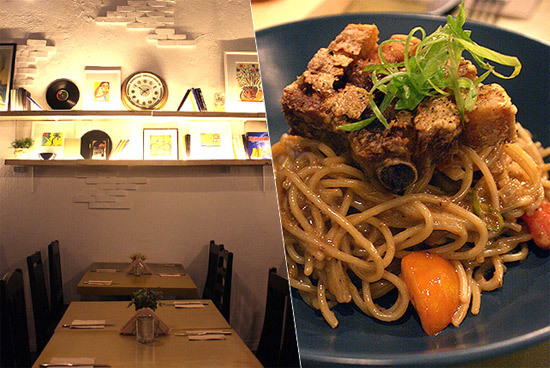 It’s that same thinking that inspired Chef Mauriz Santos’ menu: an array of homey dishes with familiar flavors. 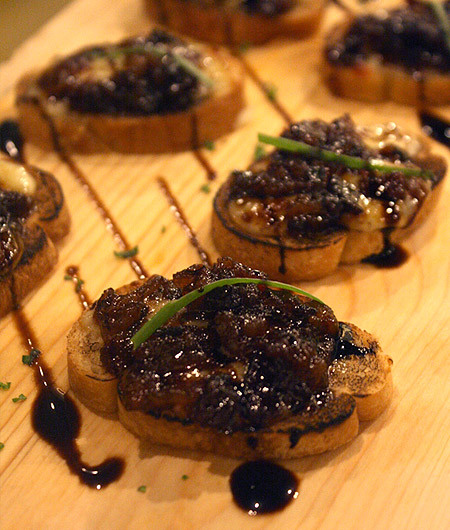 Start with the Gambas con Aligue (P330), plump shrimp on a generous bed of aligue served with crisp bread, and the rich Bacon Onion Marmalade Bruschetta (P165), caramelized bacon and onions over Gruyere cheese. 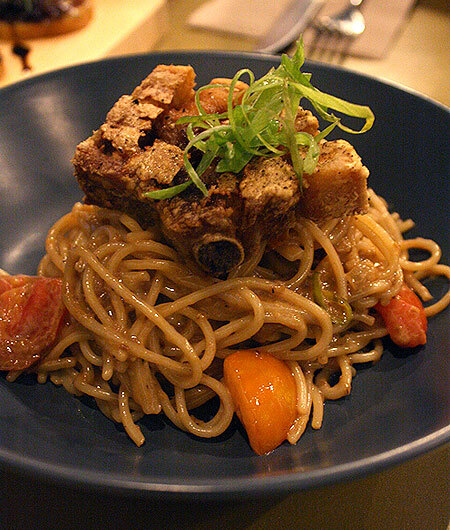 From the pasta lineup, zero in on the noteworthy Bagoong Pasta (P220)-spaghetti evenly tossed in bagoong sauce and topped with melt-in-your-mouth pork liempo. Save plenty of room for the mains: Paprika doesn’t scrimp on servings. Indulge in Baby Back Ribs (P325), a perfectly cooked half rack with garlic mashed potato, and the Chicken and Waffles (P245), buttermilk fried chicken served with a side of soft waffles. The star, however, is the Adobo Overload (P305). 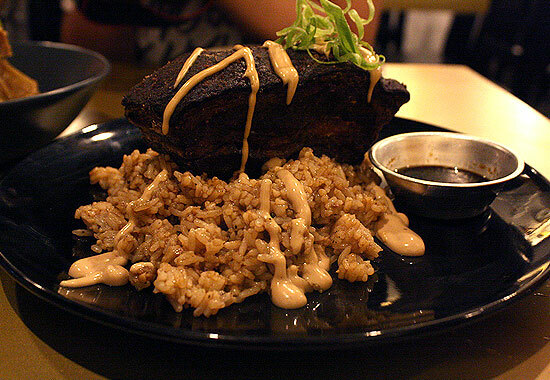 True to its name, every component has elements of the Pinoy favorite: from the large chunks of pork adobo temptingly laced with fat; to the flavorful adobo rice and the addicting adobo mayo sauce. Their large cuts of proteins are all tender, which Chef Mauriz attributes to a slow cook of up to four hours. 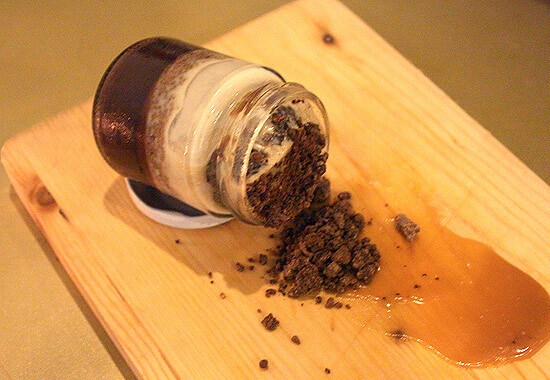 Don’t miss out on dessert, particularly the WTF or What the Fudge (P180), which plays on the dessert-in-a-jar trend. Make sure to dig in deep to get through all the decadent layers of dark and white chocolate ganache, coffee jelly, and "chocolate soil." 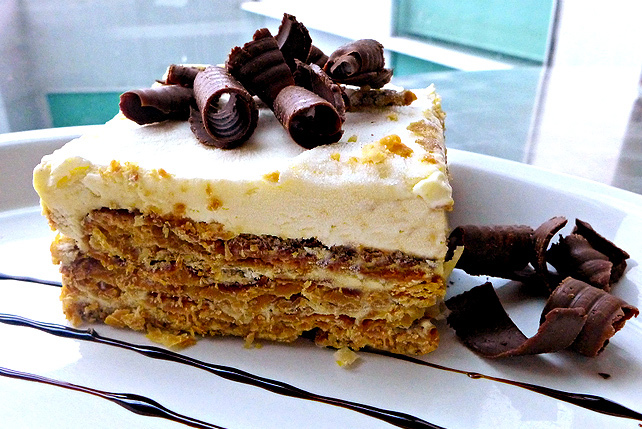 Put together, the layers are balanced without being too sweet or heavy. Complement your meal with their creatively named specialty cocktails. 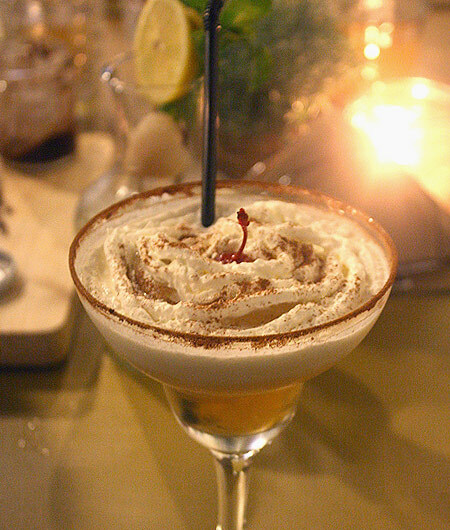 On the creamier side is The B-52’s (P285), composed of Grand Marnier, amaretto, milk, and cream, lightly sprinkled with cinnamon. 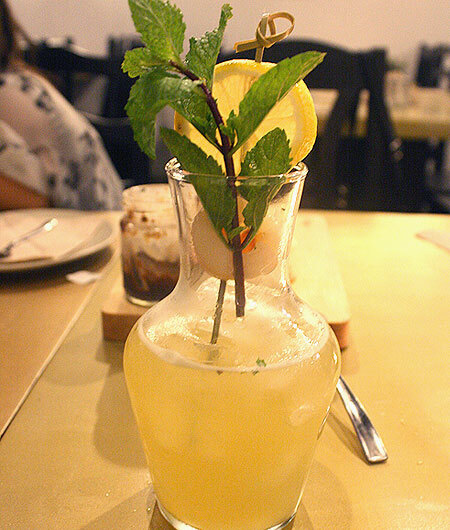 For a more refreshing drink, make a beeline for the La Playa Barcelona (P305), with white wine, brandy, lime, cherry, lychee syrup, dalandan juice, and mint leaves. The adventurous should try the surprising Bacon and Eggs (P375), concocted with bacon-infused whiskey, fresh lemon juice, sugar syrup, and egg whites. The glass is served in a large pot with a side of crisp bacon and-get this, a lit cigar for a smoky flavor. Let the drink sit in the sealed pot for a minute or two, then give it a sip. Or four. 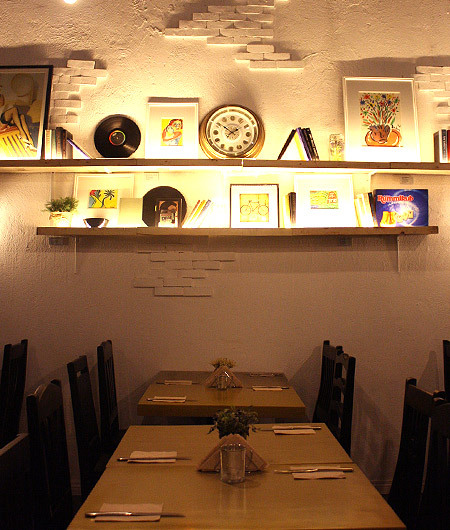 Paprika is just out of the gate, which means diners can expect a menu that is bound to change every now and then. They’re still finding their footing, but there’s no denying the laidback comfort that sings through every plate.